Want to succeed on Wall Street? 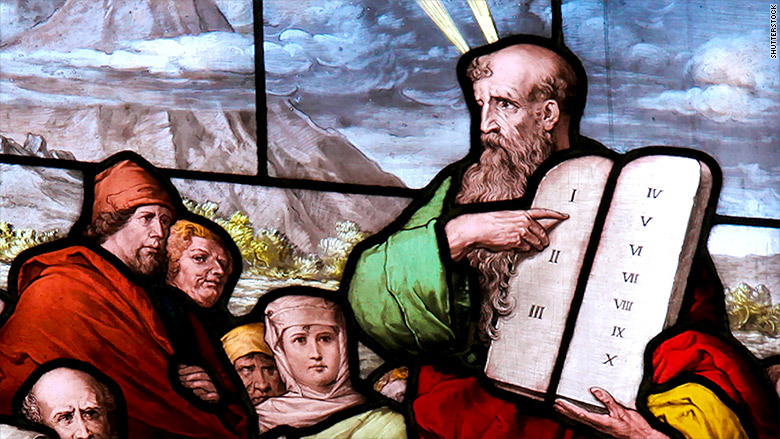 A Barclays analyst has some advice for summer interns in the form the "10 Commandments." Actually, he calls them 10 power commandments. Justin Kwan, a global power and utilities analyst in the investment banking division, advises Wall Street newbies to be the first to get in at the office in the morning and the last ones to leave at night. "Enjoy your casual 9:15AM arrival time this Friday, but I wouldn't get used to it," he cautions in a June 2 email obtained by the Wall Street Journal. In fact, he recommends bringing a pillow or yoga mat in as soon as possible to make sleeping under the desk a bit more enjoyable. Dressing for success is a must. It's Commandment #1. Kwan, a second-year analyst, says the more conservative your style is, the better. "Men: On your first day at the desk, it is customary to wear a bowtie and/or suspenders," he writes. And never take off your jacket. Interns should do everything possible to ingratiate themselves with their superiors. Commandment #6 tells them to bring breakfast for higher-ups on the team and #8 says to use the late-night company dinner allowances (in the office, of course) to buy extra appetizers for their office mentors. Though some of these commandments ring true for many, the email is meant as a joke. The subject line is "Welcome to the Jungle." Commandment #9 recommends having a spare tie or scarf at your desk because "you never know when your associate will run out of napkins." Commandment #10 is to remember to fill in the sign out sheet whenever you step outside your cubicle. Barclays stresses that the email was "in no way authorized" by the bank. Toward the end of the lengthy note Kwan writes: "I hope it is clear from the rules above that the internship really is a 9-week commitment at the desk" before claiming that when he was an intern someone asked for a weekend off for a family reunion and was asked to hand in his Blackberry and pack up his stuff. Wall Street's long hours and dog-eat-dog culture are once again in the spotlight after the recent death of a 22-year-old Goldman Sachs analyst. The young man's father claims the bank worked his son to his breaking point. "We have implemented policies and training guidelines to enable employees to gain valuable experience while at the same time maintaining a healthy work-life balance," a Barclays spokeswoman told CNNMoney. Kwan did not respond to request for comment. He still lists that he is employed at Barclays on his LinkedIn profile.